St. Patrick’s Day is a celebration for many! Lot’s ‘o Luck, Leprechauns, clovers and fun! Traditions for the holiday vary depending on religion and nationality – but regardless of how you celebrate! You can use this mini kit to scrap your St. Patrick’s celebrations! There is always a reason to celebrate! Whether it’s a holiday, a special occasion or a silly ‘National _______ Day’! Celebrating is a ton of fun, and often we want to remember those celebrations through our scrapbook pages. Often we have a single picture or maybe two from the non-major holidays or celebrations that we want to scrap without investing in a full size kit or collection. This is where The Celebration Collection, a series of mini kits, comes into play! Designed with these types of celebrations in mind they were created to scrap a single page at an affordable price point! Check in frequently for more reasons to celebrate as the collection grows throughout the year! Filled with Green, a touch of gold and a pop of orange, this mini kit is super fun, and perfect for your celebration page! Just enough is tucked inside to make a couple perfect layouts! I have a couple of fun layouts from The Skribblers! 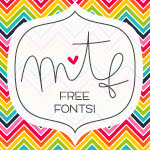 And, I also have a FREEBIE for you guys! A fun duo of St. Patrick’s Day themed 4×3 Pocket Cards created to coordinate with this mini kit! However you choose to celebrate today – be safe and have a ton ‘O fun! Very cute, Manda – thank you! Thanks Manda! Hope your St. Patrick’s Day was happy! !